CCTV security camera CMOS and CCD image sensors, which one is better? What are the differences between CCD and CMOS image sensors on security cameras? You might have a lot of questions when it comes to IP security camera image sensor. You can check this complete guide to security camera CMOS VS CCD image sensors below to solve your puzzles. An image sensor is the “eye” of your IP security cameras. A security camera image sensor can capture the light hitting the security camera lens, and convert it into electronic signal. Thus you can see the images/videos when you access your IP security cameras. FYI: Check security camera lens details in this helpful security camera lens selection guide. As you may notice in the specification part of your IP security camera, you can find the image sensor is 1/3″ 4 Megapixel CMOS (or something else). So what does it mean? What is 1/3 progressive scan CMOS? 1/3 VS 1/2.8 sensor type, which one is better? The value is the measure of the security camera image sensor format. The image sensor format is the shape and size of the image sensor, which determines the angle of view of your security cameras. There are 3 popular security camera image sensor formats in the market: 2/3”, 1/2” and 1/3”. 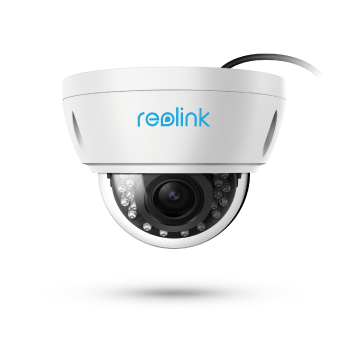 2/3” security camera image sensor — offers long range targeting in very low-light environments. 1/2” security camera image sensor — provides a sweet spot for many security cameras with acceptable sensitivity. 1/3” security camera image sensor — offers good low-light performance and high frame rate. There are 2 most popular security camera image sensors in the market: CMOS and CCD. You can check all the details about security camera CMOS and CCD image sensors below. CMOS stands for complementary metal-oxide-semiconductor. CMOS security cameras and systems use complementary and symmetrical pairs of p-type and n-type metal oxide semiconductor field effect transistors for logic functions. Progressive image scanning technology is widely used in CMOS security cameras. This kind of image scanning technology enables CMOS security cameras to obtain values from each pixel and scans them consequently. CCD stands for charged-coupled device. In a CCD security camera (system), pixels are represented by p-doped metal-oxide-semiconductors capacitors. CCD IP security cameras have great WDR (wide dynamic range), so security cameras with this type of image sensors perform greatly at low-light conditions. CCD security cameras typically are less likely affected by jello or vibration issues compared with CMOS security cameras, since CMOS security cameras use “rolling shutter” — it means the security camera exposes from top to bottom. CCD security cameras, on the other hand, use “global shutter”, which means it exposes the entire sensor instantly. Thus CCD security cameras are less susceptible to jello or vibration. If you want to buy a security camera with a good image sensor for clear-crystal images/videos, you should never miss the security camera CMOS and CCD image sensor comparison below. CMOS VS CCD image sensor for security camera, which one is best? CCD VS CMOS security camera image sensor, what’s the difference? Tons of questions on security camera CMOS VS CCD image sensor might swallow you like the floods. That’s really frustrating, right? Never mind, take a deep breath now. You will get everything you need about security camera CMOS and CCD image sensors after you read the CMOS versus CCD image sensor comparison below. Security camera CMOS image sensor is a real winner on frame rate. Security camera CMOS image sensor can directly convert the photoelectric signal to digital signal. The frame rate and process speed is extremely fast compared with CCD image sensors. With CCD security camera image sensors, key processing or conversion, such as analog-to-digital conversion, takes place outside of the sensors, which makes security camera CCD image sensors need longer time to form images/videos. Security camera CMOS image sensors are able to integrate various types of applications on one versatile chip. CMOS image sensors in security cameras typically require lower bandwidth. Security camera CCD image sensors, on the other hand, require both internal circuitry and external elements for amplification and conversion into digital signal. That’s the main reason why security cameras with CCD image sensors often suffer from heat issues. In a word, security cameras with CMOS image sensors offer much higher frame fate and consume less power, and are more cost-saving compared with security cameras with CCD image sensors. Normally CMOS CCTV security camera price would be more favorable than CCD security IP cameras. The winner of Round 1 is security cameras with CMOS image sensors! Security cameras with CCD image sensors are typically considered to offer much higher resolution images, photos or videos. However, with the developing technology on security cameras CMOS image sensors, the image quality of CMOS image sensors can be on a par with CCD image sensors in CCTV IP surveillance cameras. For example, security cameras with CMOS image sensors and optical zoom can offer even much clearer images/videos than CCD image sensors. Security camera CMOS VS CCD image senor in Round 2 — Tie! CCD image sensors in video surveillance cameras move their charged cells across the chip, so they are less prone to image distortion. Thus CCD image sensors in security cameras tend to have higher spectral sensitivity to light and produce far less noise than CMOS security cameras. QE (Quantum Efficiency) is a measure of how efficiently the security camera CMOS and CCD image sensor converts light (photons) to digital signal (electrons). The more electrons in a pixel during the integration period of a security camera image sensor, the more sensitive the sensor is. The Read Noise (RN) is the measure of security camera image sensor noise. The higher the read noise level, the more sensitive the security camera image sensor is. CCD security cameras offered better low-light or night vision performance, especially in higher temperatures a few years ago. Nowadays, CMOS security cameras sometimes even surpass CCD CCTV IP security cameras in sensitivity. It’s hard to say who would be the real winner when comparing CMOS and CCD security cameras on sensitivity and noise. However, based on the current technology and the overall performance, the CCD security cameras are the winner in round 3 (perhaps would be a temporary victory). You can check the below CMOS VS CCD security camera image sensor comparison table to have an overall impression. Based on the above information concerning CMOS and CCD security camera image sensors, and the detailed comparison of two types of images sensors, you can find that each type of security camera image sensor has its own pros and cons. In the actual operation, there will not be a definite winner in this battle. It boils down to your particular application with your security cameras and systems. 1. You can opt to security cameras with CCD image sensors when you want to install your security cameras in dark environments. 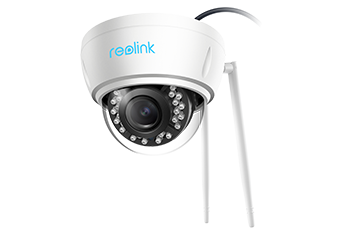 Bump: Some CMOSS security cameras like Reolink RLC-423 also can provide excellent night vision distance. 2. Use CMOS security cameras in covert environments. Security cameras with CMOS image sensors can be compact size, since the dimension of CMOS image sensors can be very small. However, CCD security cameras are limited to the periphery of complex circuits. 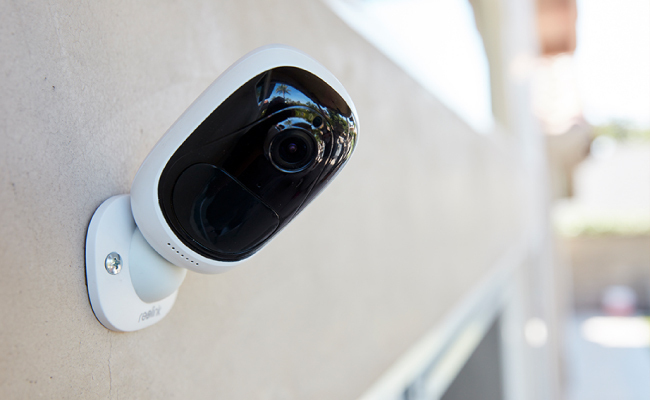 When you need to install your security cameras in some places that are vulnerable to vandalism, try a vandal-proof security camera with CMOS image sensor. 3. Choose CMOS security cameras when your Internet is not good enough. Security cameras with CMOS image sensors offer fast frame rate, which would not eat up too much bandwidth. Thus you won’t suffer from Internet loss. This entry was posted in Compare & Contrast and tagged Security Camera Sensor.